The Magicard Pronto with Combi encoder (3649-0003) is a hand fed, low cost, high quality color printer with contact/contactless encoding. 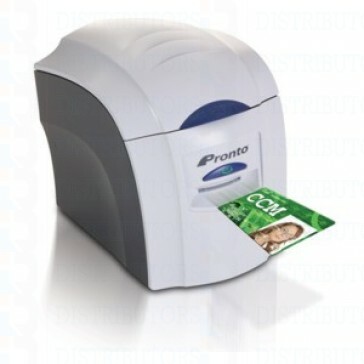 it offers features such as rewriting technology and Magicard’s renowned patented visual security features, the HoloKote anti-counterfeiting watermark available in 4 standard designs. Small and compact. you to produce a personalised card on demand in moments. 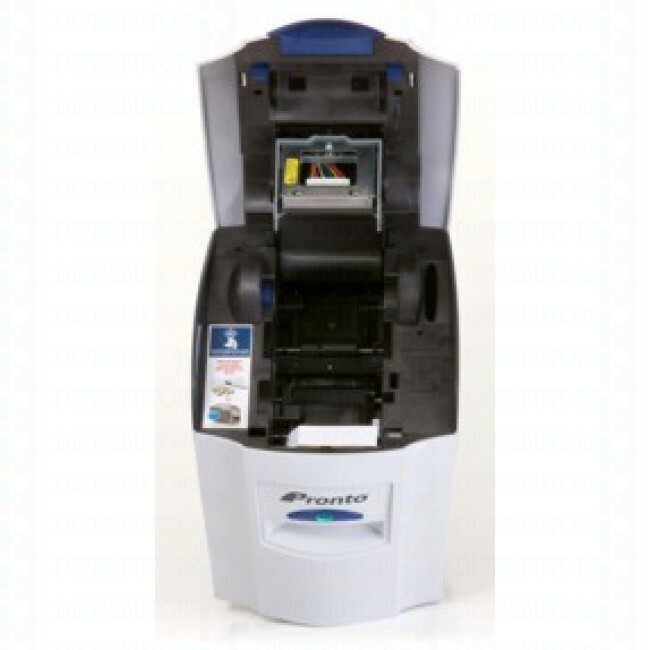 easy card printing in a compact and highly reliable package. or black, ideal for visitors passes and temporary badges. and smart card encoding options. to transport to any location and reside on any counter or desktop. Print mode Color dye sublimation, monochrome thermal printing and rewritable technology. Visual security The user has the option to print a HoloKote® security watermark across the card surface. When used with HoloPatch® cards, one area of the HoloKote watermark is highlighted as a high visibility security seal. A choice of 4 fixed HoloKote patterns are selectable from the printer driver. Encoding security Magnetic stripe encoding option. Smart card encoding: Contact chip, MIFARE, DESFire and iClass options. Warranty 2 years limited depot warranty. Dimensions 270mm L x 215mm W x 233mm H (10.6” L x 8.4” W x 9.1” H). Environment Sheltered office environment 10°C to 30°C (50°F to 85°F).